When we go through a difficult period in life, we can choose to “go” through it or “grow” through it, as Dr. Christina Hibbert says. 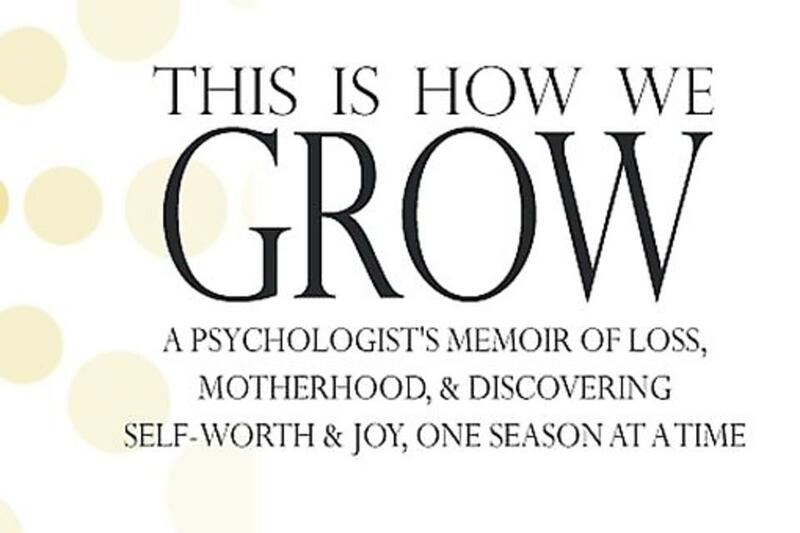 Dr. Christi is a 30Second Mom expert contributor, clinical psychologist and expert on mental health, grief, loss, motherhood, parenting, self-esteem and personal growth. 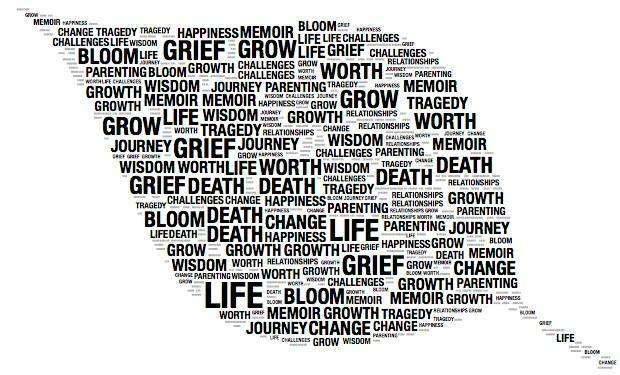 She explores all of these topics and more in her riveting account of personal journey and growth. She resides in Arizona and will add published author to her list of endeavors: mother of six, practicing psychologist, speaker, blogger and singer-songwriter! Q: Congrats on the launch of your first book! 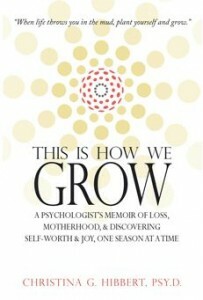 What made you decide to write “This is How We Grow”? A: I love to write and have always wanted to be an author, but it wasn’t until my life took a turn that I knew WHAT I would write. My sister and brother-in-law died, and we inherited my two nephews just before having our fourth baby. We went from three to six kids almost overnight. We had many other challenges, too, as we tried to create our new family. Being a psychologist specializing in grief, postpartum and parenting, it was a “doctor becomes the patient” experience, too. I’m an avid journaler, and wrote throughout these experiences. One day, I woke up and just knew this needed to be a book. It didn’t make logical sense since I had six kids and was just re-starting my psych practice, but it felt right, so I did it and here I am! It’s been four years since I started writing! Patience is definitely a virtue! Q: Tell us more about the book. How has your family responded to it? A: I call it “a memoir with a self-help feel,” since I’m a psychologist and every chapter begins with a “lesson” I learned. I love reading stories I can learn from. I hope this book is one of those. 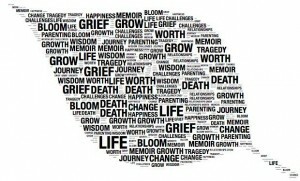 It’s real life, so I touch on many topics: death, suicide, grief, motherhood, parenting, sisters, adoption, self-worth, joy and love. My early readers say there’s something in this book for everyone. Everyone can relate in some way, and I love that! My family has been supportive, but it’s pretty honest, and it’s caused some tough discussions – especially with my parents. 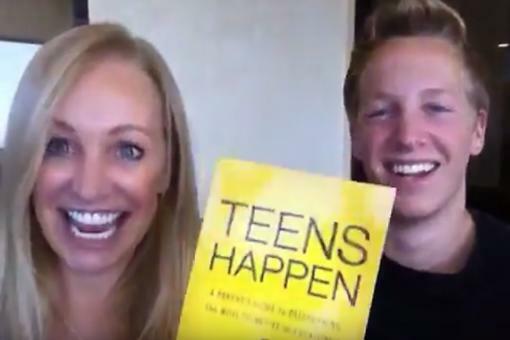 My kids think it’s “cool” I’m publishing a book and that they’re in the book. At 17, 16, 14, 12, 10 and 6, they don’t really care what I wrote about them. My husband is a main character in the book, but says, “It’s your story. You write what you need to write.” He’s been amazing. My rock. Q: How have you managed writing and publishing a book with so many other responsibilities? A: It hasn’t been easy, that’s partly why it’s taken so long! As I say, with so many kids, everything takes four times as long to do as I wish it did! I know my top priorities: 1) Faith/self-care, 2) family relationships, 3) contribution/career. I then compare all I’m doing with those priorities. If something I am trying to do doesn’t match up with my top priorities, I let it go. This helps me focus on what matters most. I cut down client hours. My husband helps a lot, and so do my kids. But mostly, I still feel like a stay-at-home mom, even while writing this book. I work when kids are in school. I go away for a few days when I really need to focus. But I always tuck them in at night! Family comes first! Always. Q: What have you learned from writing this memoir? A: It has been an incredibly healing experience for me. Putting my story out there has made me have to deal with it and helped me let the past go. It’s also opened up discussions with loved ones I would never have otherwise had. It is healing my family relationships, too. Heal relationships with one of my favorite exercises! I’ve also learned fulfilling dreams is about hard work and patience. It’s about diligence and faith. Anyone can do this if they want it badly enough. I have learned the power of collaboration. My book wouldn’t be what it is today without the help of so many other lovely people! Q: Your book is being offered as a FREE Kindle download on Amazon on Wednesday, November 13th. How can we support you? A: Go download it! It’s a great way to help me and get the book for FREE! Here is the link. It’s also available to purchase, but if you have a Kindle OR the Kindle APP (iPhone, iPad, Mac) go get it for free Wednesday November 13th only! Pretty please! Also, spread the word! (Especially if you read and like the book.) Please tell your friends/family to pick it up on Amazon, too! And please “like” my Facebook pages: Professional Page and This Is How We Grow and tweet about my book using #TIHWG! Q: What is one message you hope readers will take away from #ThisIsHowWeGrow? A: First: None of us is alone in our trials. I write candidly about mine in hopes others will see themselves in my story and know they are not alone. I want others to see we ALL have struggles! We may not have the same challenges, but we ALL have some! I hope people can relate to mine. My post “How To Embrace Strengths and Weaknesses” shows we’re definitely not alone and it’s OK to feel weak sometimes. Second: We can all “choose to grow,” no matter what life throws our way. “We can ‘go’ through it or we can ‘grow’ through it!” as I say! “When life throws you in the mud, plant yourself and grow!” Third: We don’t have to settle for just “being well” or even “better” after trials. We can be “better than better” and flourish! Read my post on “Flourishing: What is It? And am I doing it?” I want to inspire people to keep growing. Forever. That’s all. Q: You definitely inspire growth! 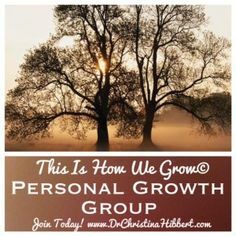 Tell us about your FREE ONLINE #ThisIsHowWeGrow” Personal Growth Group! A: I started the group because we all need support, as women, men, parents and individuals. We need to grow together! I’ve done a Personal Growth Group here in Arizona for four years now. It’s been fabulous! We share. We help each other. We improve. I wanted to make that available to people everywhere. You can join online, watch lessons, do assignments, and GROW with us! It’s a FREE online group, with a Facebook group and other perks! All are welcome! Register here. Q: What is in your future, now that this project is finally out? A: I actually got a book deal for my next book! New Harbinger publications found me through my blog and asked me to write a book for them! I was stunned and excited! I’m writing that book now. It’s on the topic of self-esteem after a breakup and will be out Spring 2015! I’m also doing a blog tour and blog hop for my book launch, and plan to get out and speak, too, which I LOVE! And, of course, I still see clients and write for my blog and I’m still MOM (my biggest job!). Q: Any last words of wisdom for our 30Second Mom community? A: First, go download my FREE Kindle book on your device or Kindle app on November 13th. Second: I am grateful for family and friends like you who inspire me to be my best and live out my dreams! 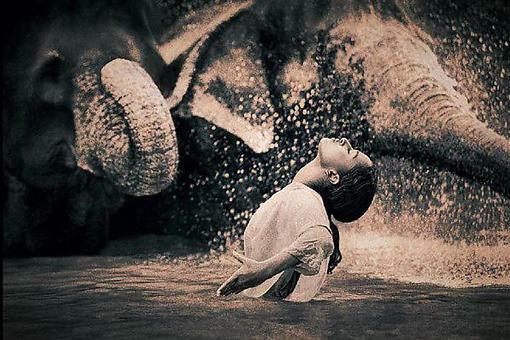 We ALL need support to make it in this world. We NEED each other! Thank you for your support! Go now and choose to grow, no matter where you are in life. You will be so grateful you did! And please check out my website/blog. Free giveaways all week for our “This Is How We Grow” launch! Learn more about Dr. Christi by becoming a fan of her Professional Facebook page and Facebook page for her memoir, checking out her website and following her on Twitter! 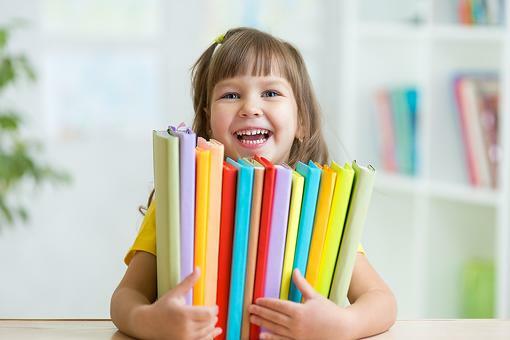 Too Many Children's Books? This Party Idea Will Help You Organize & Socialize! 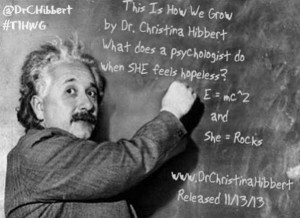 Dr. Christina Hibbert Shares Her New Memoir, "This Is How We Grow!"